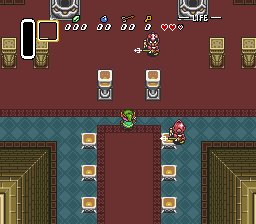 This patch will give you destructible walls that look just like regular walls similar to the BS Zelda - Ancient Stone Tablets games. 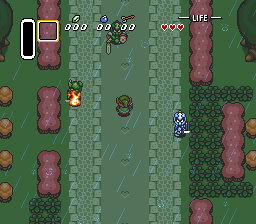 No graphics tiles were altered so this should be compatible with nearly all Zelda III hacks. This patch is for a ROM without a copier header. The God mode, Byrna hack is a collection of small hacks, which make you invincible or give you the Cane of Byrna. 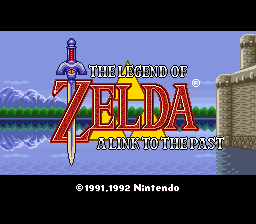 Information: This patch to hear CD-Quality Music while playing (bsnes, sd2snes). Optionally you can now also play a video between name entry and game start (plays only when new slot was created). Information: Transfer the data for Indoor sprites to another bank to have more room for them. 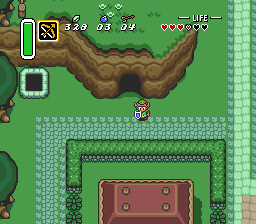 Information: Load custom overworld music, without the reseting when changing screens. 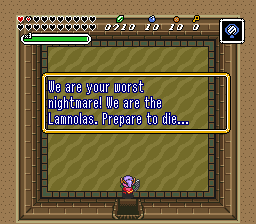 (Original Alttp always resets it to Overworld music when exiting most entrances).